Decorating sweet homes for the festive season is a pleasure task for everyone. It is something that you would love to do and really want it to be unique when compared to that of your neighbors and friends. Decorating with candles welcome in a lot of positive energy for the season. It adds that perfect touch of elegance and serenity to any space at home. Take a look at some unique collection of candles carefully designed to take your décor to the next level that could never be beaten up by anyone for the holiday season. Decorative candle is sure to make any occasion beautiful. The autumn leaf beeswax candle, tree soy candle would be the first choice of nature lovers for the holiday season. 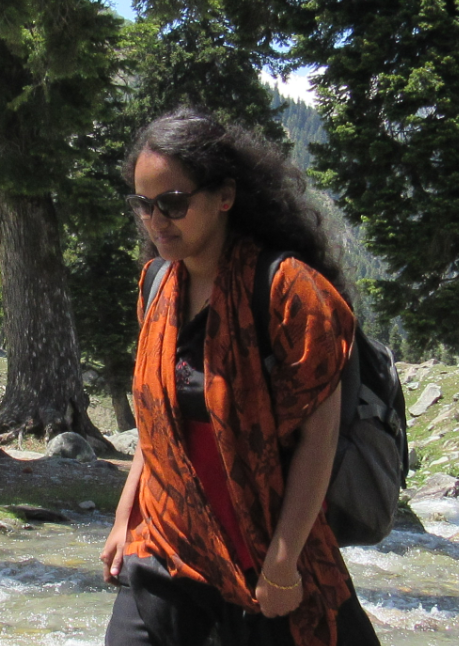 The candles are handmade and rain water, earthy musk scented creating a wonderful feel of deep green forest at home. Hand painted candles are always special and unique in its looks. The green discuss with white moose can be used to decorate any space at home. The snowman candle is apt with traditional colors to brighten up the festive season. These pretty candles are so pure and elegant to make your day special. 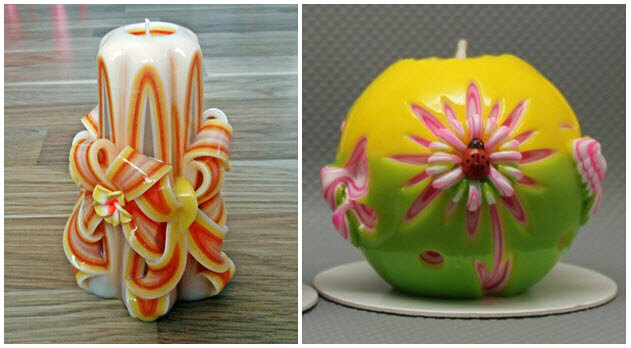 Hand carved candles with its unusual beauty is sure to bring joy for the holiday season. The flower candle, candle carved Christmas ornament are best partners for Christmas feast. 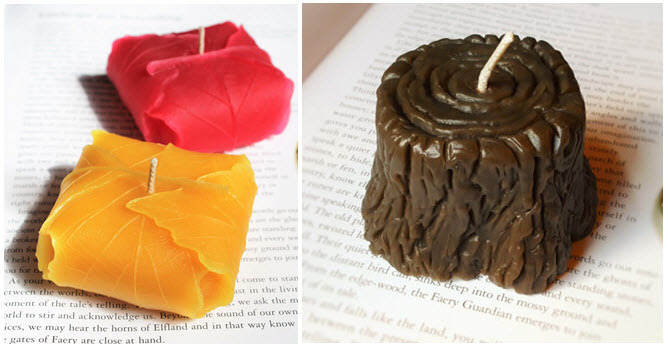 These candles are pleasant surprises to delight everyone’s eyes. Don’t miss the beauty of the candles indoors and outdoors. Yummy treats!! But only for eyes and nose. 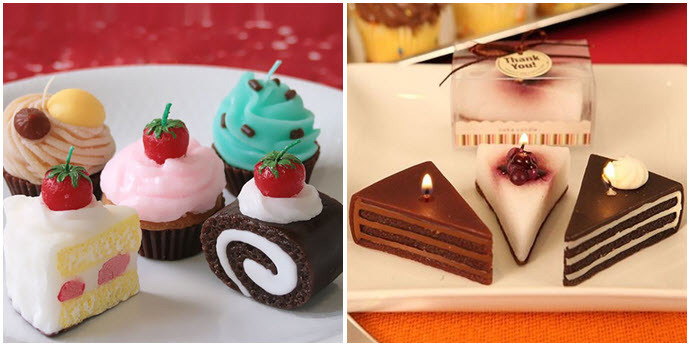 The candle desserts, cake slices are really mouthwatering as it looks so real and natural in its scents. These candles are made of 100% eco soy wax. It makes a fantastic holiday gift for your little ones. 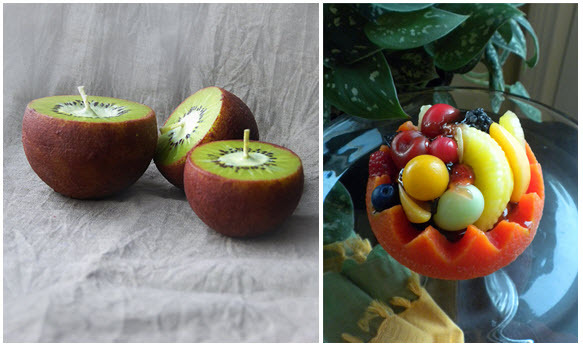 Fruit candles are so amazing and attractive and sure to replace the real fruit basket in your dinning. The kiwi candle, orange bowl fruit salad looks cool and very realistic. Be careful as this might be mistaken to be a fruit starter for the feast. Natural imitated candles like the wooden candle, hand formed stone candles holds perfect for rustic theme. These candles can be personalized by painting names and wishes for many special occasions. Make a note of these models in your long list for gifting. 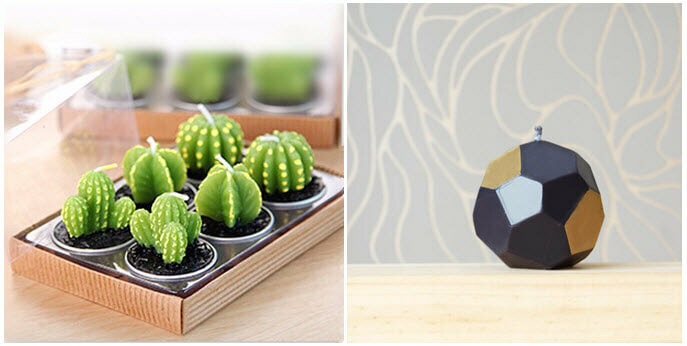 These cactus candles are non-flowering but, only burning mild beauties to make any moment special. Green lovers will never miss it in their holiday décor. Geometric candles with pure metallic finish is shiny to steal everyone’s attention for the season. The mild beauty of the candles instantly creates a relaxing ambiance anywhere. It not only brightens up but also amaze us with its unique fragrances bringing in a tempting décor for the holiday season. Choose interesting scents to flavor up the festive season with these inviting bright candles.